Ruth Duck provides a much-needed how-to book for creating unique and creative worship resources, including prayers, hymns, and sermons. She presents methods and models for creating these new resources while remaining scripturally relevant and mindful of inclusive-language concerns. 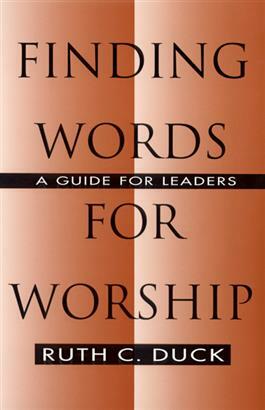 This is an invaluable guide for those involved in writing or evaluating worship services.